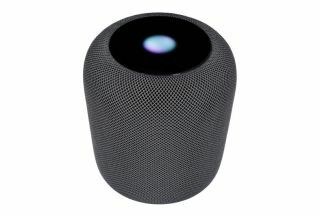 Apple HomePod gets AirPlay 2, multi-room audio and stereo pairing | What Hi-Fi? The iOS 11.4 update launches today in the UK, US and Australia. While we quickly decided Apple’s HomePod was the best-sounding smart speaker around when it launched in February, a lack of multi-room support was among its shortcomings. From today that’s no longer the case, thanks to Apple bringing its long-awaited AirPlay 2 functionality to the HomePod via iOS 11.4 software. The AirPlay 2 update means the HomePod can now pair and communicate with other AirPlay 2 speakers when they become available (such as select Sonos speakers) and play sound in multiple rooms throughout the home. The update also means owners can now pair two HomePods for a stereo set-up. The update is available in the UK, US and Australia today, and is due to arrive in Canada, France and Germany on 18th June.